Greenland’s enormous ice sheet is melting at such an accelerated rate that it may have reached a “tipping point,” and could become a major factor in sea-level rise around the world within two decades, scientists said in a study published in January. The Arctic is warming at twice the average rate of the rest of the planet, and the new research adds to the evidence that the ice loss in Greenland, which lies mainly above the Arctic Circle, is speeding up as the warming increases. The authors found that ice loss in 2012, more than 400 billion tonnes per year, was nearly four times the rate in 2003. After a lull in 2013-14, losses have resumed. At the other end of the earth, the speed of Antarctica’s ice loss is also becoming clearer. A study published recently, also in the Proceedings of the National Academy of Sciences, surveyed four decades of data and found faster losses in some regions than scientists had previously estimated. The continent has presented a mixed story in recent years, with researchers measuring substantial losses in some regions but stability and even gains in others. But the new paper found considerable losses of glacial ice in East Antarctica, previously considered to be relatively stable. As a whole, Antarctica lost about 40 billion tons of ice per year in the 1980s, but it has been losing roughly 250 billion tonnes per year in the past decade. Luke Trusel, a glaciologist at Rowan University and an author of December’s Nature paper on Greenland, said the new research by Bevis and his colleagues “provides clear and further illustration of how sensitive Greenland now is” to global warming. 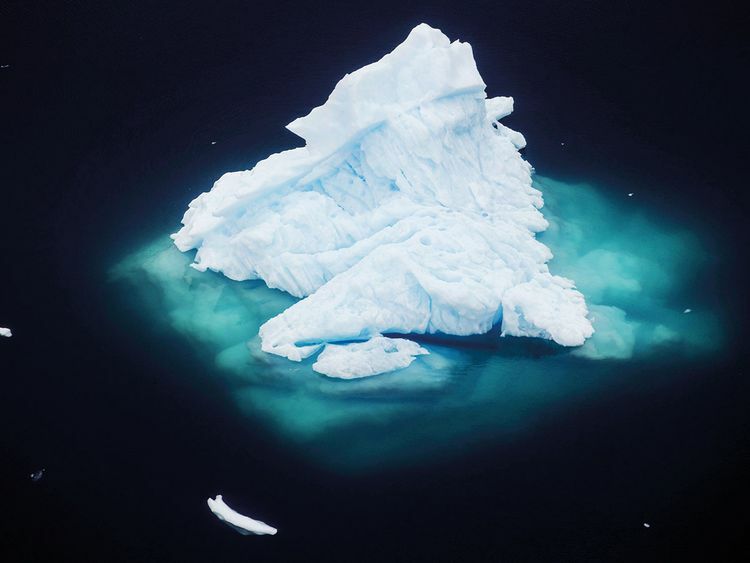 A co-author of the Nature paper, Sarah Das, a scientist at the Woods Hole Oceanographic Institution, agreed that Bevis’s study reinforced her own team’s conclusions and showed “how quickly Greenland is disappearing.” The common finding, she said, is that climate change has brought Greenland to a state in which “a little bit of a nudge is going to have an outsized impact,” causing enormous melting.